Product prices and availability are accurate as of 2019-04-22 16:04:46 UTC and are subject to change. Any price and availability information displayed on http://www.amazon.co.uk/ at the time of purchase will apply to the purchase of this product. 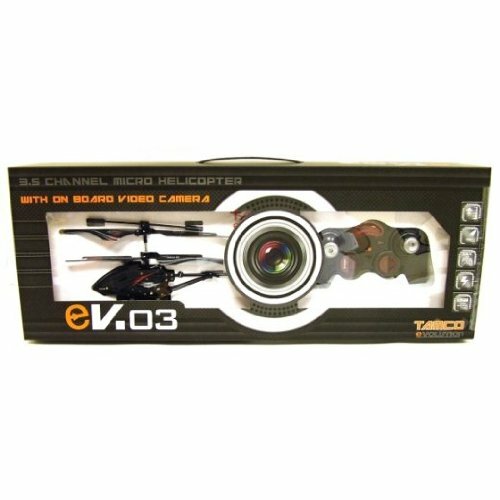 The EV03 3.5 Channel Micro metal chassis helicopter is kitted out with the very latest gyro technology providing a stable flying platform. This comes in very handy as the helicopter is also fitted with an underslung micro video/stills camera with a moveable camera head. The on board camera is controlled via the hadset and the recorded info is held on the supplied Micro SD Memory card. After filming you can remove the card and use the supplied USB card reader to view and transfer to your home PC.